Disclaimer. The webmaster of The Churches of Britain and Ireland is not responsible for the content of adverts, or the content of sites to which links may be provided. Please be aware that CD's of photographs copied from this website have been offered for sale on E-Bay. These copies have been made without the knowledge or permission of myself, or the many contributors to the site, and as such contravene the copyright laws. E-Bay removed the item in response to my complaint, but I would appreciate being informed of any further sightings of this nature. Quick start - County and Alphabetic Index here, but please return to read on - there's lots of good stuff! My first website, Images of Cumbria, devoted to the history of Cumbria, was developed following contact with fellow amateur genealogists from all over the world who had roots in that most beautiful of English counties. Of all the things people wanted to see, the most requested were pictures of the churches where their ancestors were baptised, married and buried. It occurred to me that there isn't a central resource for finding photographs of the churches of Britain and Ireland - this web-site aims to rectify this omission. And as the site has expanded, another purpose has become apparent - to serve as a record of churches and chapels which are fast being converted to other use, or are about to be, or have been demolished. The ultimate aim is to have at least one photo of every existing church in England, Ireland, Scotland, Wales, the Isle of Man, and the Channel Islands, and where possible, photos or artwork of churches no longer in existence. And the site isn't restricted to the historic parish churches - photos of the "churches" of all religions, denominations and sects are welcome. There are currently about 32,900 churches on the web-site (and roughly 118,550 photos and illustrations). I have to express my sincere thanks to the small army of church enthusiasts who have allowed me to use their photographs, and without whom this would have been a far less comprehensive effort. Take a picture of your local church, chapel, temple, meeting house, synagogue, mosque, monastic ruin, prayer room, or even community centre, as long as someone worships (or did worship) there. Photos of sites of vanished churches are also welcome. There are some useful observations on the etiquette and techniques of photographing churches here on Michael G. Hardy's website. "Adopt" an area and cover all of its churches. Identify photos of Unidentified Churches, and advise about the current status of churches featured on this website. Answer queries posed on the "Questions, Questions" page. Advise of web-sites with further information on the churches, or of missing dedications for churches already featured here. 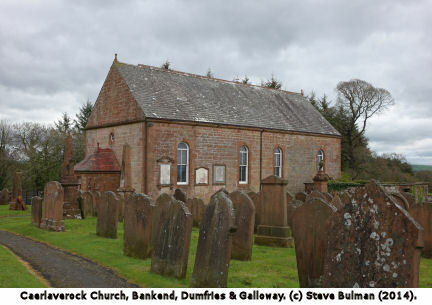 Supply outline information for vanished churches - denomination, dedication, location and dates. On a web-site of this scope, there are bound to be errors, for which I apologise in advance, but I want to hear about them so they can be corrected. Before sending your digital photos or scanned photos to myself (address at the bottom of the page) please read the FAQ page, where copyright issues are addressed. DO NOT send in photographs taken from the web, or from books, unless you are certain about their copyright status. Incidentally, just because a church is already represented here doesn't mean that other photos of it won't be welcome; if you think that your photo has something to offer, send it in, though I won't guarantee to use it. Regarding copyright - in every case, the copyright remains with the original photographer; anyone wishing to use any of the photos from this site, for whatever purpose, should contact the undersigned, and I will put you in touch with the copyright owner if I can. Of course, if you change email address without letting me know, I won't be able to contact you - so please, if you have contributed to the website, let me know if you change your email address. Now to the photographs - they can be found by looking through the Index, which lists place-names by county and alphabetically. 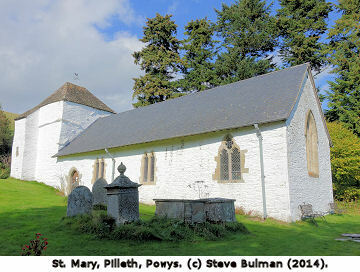 There is also a page for photographs of churches where the location is unknown. Please contact me if you know where they are. I occasionally receive comments that places are in the "wrong county". See here for my reasoning. 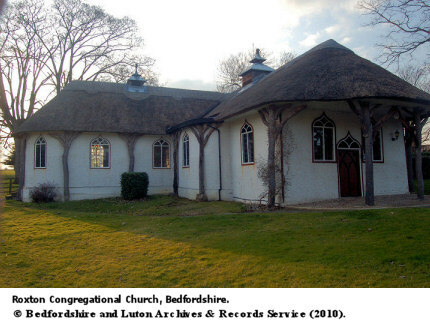 Each entry in the indices has a link to a photo or photos of the church, and where possible another external link to further information about the church. Its listed building status is also sometimes given, but as these are being added retrospectively, the lack of such a link does not necessarily imply that it isn't listed. Towns and villages with several churches are given their own sub-index. Where known, the dedication is included, as is the Ordnance Survey (OS) grid reference which is preceded by the Landranger map number. For those unfamiliar with the latter, full instructions for their use can be found on each OS map. Thus Adderbury in Oxfordshire is given as 151 SP 471 354 - map number 151 and grid reference SP 471 354. As grid references can also be found on-line now, the map number will often be omitted. And if you can, provide grid references to 10 digits, as the 6-digit reference is only accurate to 100 metres. Some entries may also have (O) - normally open, (C) - normally closed, or (K) key available. You may find that some photos are rotated by 90 or 180 degrees. This appears to be a problem only in the Google Chrome browser, and results from the non-standard way it interprets embedded EXIF data. To overcome this, try using a different browser. Recommendations for further reading are to be found in the bibliography. There is also a Useful Links page, with URL's of many county, denominational and other church related sites. REQUESTS FOR HELP - I occasionally get requests for help in obtaining photographs of churches, or for help with a little history for a church. I can't help with photographs, as all the ones I've taken or received from contributors will be on the website (except for ones in the "in-box", waiting to be added). I can sometimes find a website giving a church's history, or I might have an appropriate book, and will obviously pass on the information. But usually I can offer nothing - so I've started a new page, Questions, Questions, passing these requests on to site visitors.